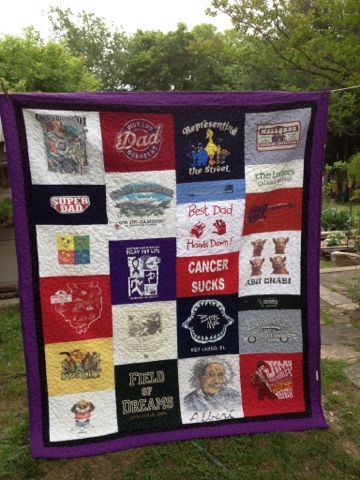 I have started a new memorial quilt project. 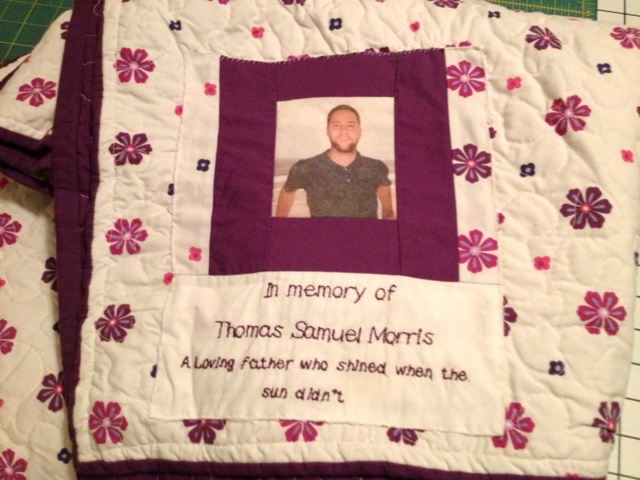 This time I have been asked to make three quilts for a family that has lost their husband and daddy. 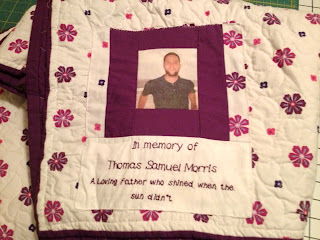 This project has really grabbed my heart as these quilts are primarily for a little girl that lost her father at the age of 2 to brain cancer. This is a special little girl, now 7 years old, that is trying to help make a difference by selling her artwork to raise money for the American Cancer Society. Here is a link to her story on TV. She also has a website Mauri's World where you can learn more about her and her artwork. I received 24 t-shirts, 25 pairs of fun boxer shorts and numerous button down shirts, polo shirts and a couple of pairs of shorts. 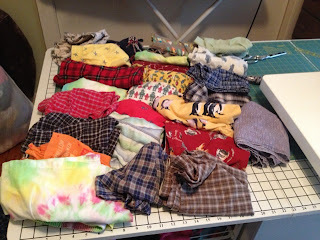 The first quilt is this t-shirt quilt, now on to the boxer shorts quilt and finally a queen size "big girl" quilt to be made with the rest of the clothes. I just love this type of project, it really fills my heart up. The stack of 25 pairs of boxer shorts.